As the Lavelle Fund’s extraordinarily able founding Board President, John J. 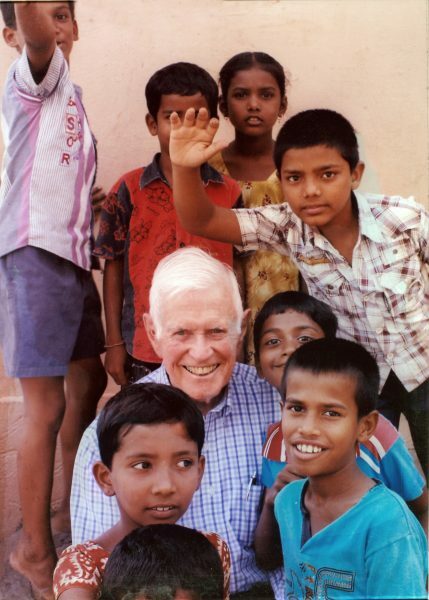 (“Jack”) McNally oversaw all aspects of the Fund’s successful launch and early development. This work included managing the Fund’s separation from the Lavelle School for the Blind, recruiting dedicated board colleagues, creating core governance documents and policies, defining a grantmaking mission, hiring an executive director, and finding and renovating a physical home. More broadly, whether serving as the Fund’s Board President (1999-2008) or as a general Board Member (2008-13), Jack provided indispensable guidance on everything from technical legal issues to investment management oversight. He served at various times on all four of the Fund’s permanent Board committees, chairing two for many years. He was also an early advocate of broadening the Fund’s giving focus to include international giving and, with his gracious wife Sally, participated in every one of the Fund’s many international site visits. Jack brought to these varied tasks the same brilliant intellect, astute judgment, and complete dedication that he had honed as a Harvard Law Review editor, White & Case law partner, and member of many other nonprofit and corporate boards. He had an uncanny knack for getting to the heart of a problem quickly and identifying a practical and fair solution. Yet, for all his attainments, Jack was unfailingly modest and always ready with a warm smile and kind word. Jack will forever be a beloved friend and colleague of the Fund.